In the third and fourth places in the Hadash list of candidates were elected Dr. Ofer Cassif, a lecturer of the Hebrew University of Jerusalem, and MK Youssef Jabareen respectively. A poll conducted by Israel Hayom, and published on Friday reveals that former Lieutenant General Benny Gantz’s party might have a shot at bringing down the Likud party of far-right PM Benjamin Netanyahu. According to the poll, the Likud with Netanyahu at its head, would win 28 seats out of the 120-seat Knesset if the elections were held now, while Gantz’s Israel Resilience Party would take 19 seats, Odeh’s Joint List and Yair Lapid’s Yesh Atid would come in tied with nine seats each. The New Right party of Naftali Bennett and Ayelet Shaked and the ultra-orthodox United Torah Judaism would each win seven Knesset seats. 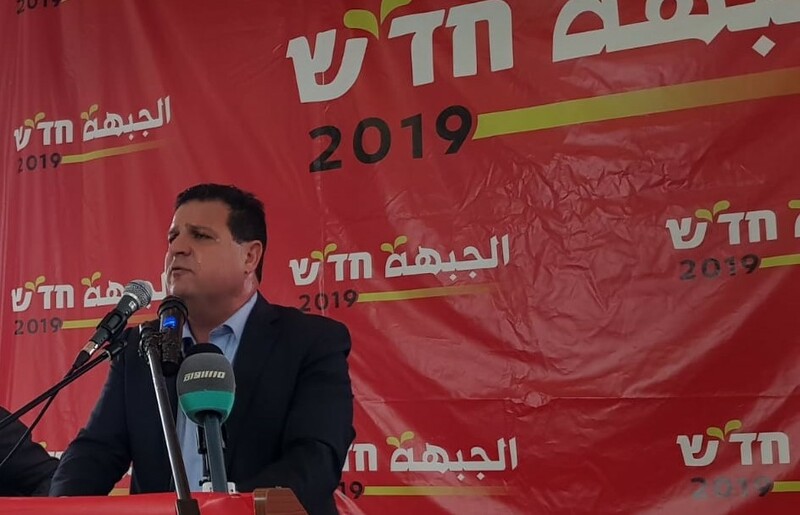 Kulanu would win just five Knesset seats and the Labor Party, headed by Avi Gabbay, continues its decline and would win only five seats as well. Orly Levy-Abekasis’ Gesher party would win just four seats, as would Meretz, Shas, and Moshe Feiglin’s Zehut party, the first time that this last, neo-fascist party has passed the electoral threshold in a poll. The poll finds that Avigdor Lieberman’s Yisrael Beytenu, the Jewish Home-National Union, Otzma LeYisrael and the Ta’al faction headed by MK Ahmed Tibi would each garner enough votes for only three Knesset seats and therefore, not passing the electoral threshold of four seats, would not enter the Knesset. Similarly, Tzipi Livni’s Hatnua party and Eli Yishai’s Yahad party would win just one seat each, and therefore they too would send no representative to Israel’s 21st Knesset.